A question being asked by many experts now is why banks are joining a race to increase deposit interest rates though there is no ostensible liquidity shortage. It started at the beginning of the year and there are no signs of things slowing down. According to a State Bank of Vietnam report in mid-March, banks’ deposit interest rates have not changed much. The following are those that have been regularly updated on the central bank’s website and also at many commercial banks. Interest rates are 0.5-1 per cent a year on non-term deposits and those of up to one month, 4.5-5.5 per cent for one to six months, 5.5-6.5 per cent for six to 12 months, and 6.6-7.3 per cent for over 12 month. But the actual rates banks are paying are quite different. Interest rates on deposits of below six months are 5.5-8.1 per cent though there is a stipulation about the deposit amount, and 8.5-8.7 per cent for deposits of over a year. National Citizen Bank, Viet Capital Bank, Bac A Bank, VPBank, PVComBank, VietA Bank, Sai Gon Commercial Bank, and Orient Commercial Bank are among those offering 7 per cent on six-month deposits. Sai Gon-Hanội Joint Stock Commercial Bank (SHB) is offering up to 8.7 per cent for 18-month deposits of VNĐ2 billion or more. For 24-36 month deposits, SHB is offering 8.7-8.9 per cent. Analysts said the demand for credit is high at the beginning and end of every year because of the country’s biggest festival, the Lunar New Year, and so banks need to hike rates to get more deposits and ensure liquidity. From the beginning of this year, banks were required to increase their ratio of medium- and long-term deposits, and so tended to hike interest rates on them. Another important reason is that the banking sector now has to compete with corporate bonds, which are offering very attractive interest rates. Vingroup’s consolidated financial statement in the fourth quarter of 2018 showed the company had raised VND51.52 trillion (US$2.24 billion) by issuing bonds in dong. The bonds carried coupon rates of 3-5 percentage points above banks’ average interest rates on 12-month deposits. Masan Group mobilised VND15 trillion ($652.2 million) from ordinary dong bonds carrying a coupon rate of 8 per cent for the first year and subsequently 3.2 percentage points above the average 12-month deposit interest rates set by the four biggest banks. Novaland’s bonds also carry a very high interest rate of 10.9 per cent. Not only large companies like Vingroup pay high interest rates on bonds, smaller companies do too. 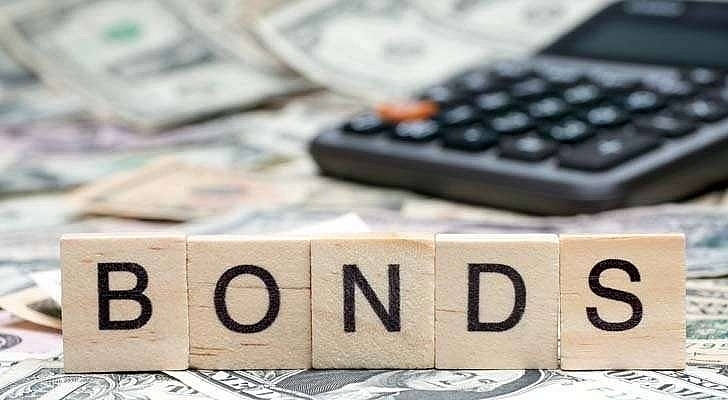 Besides higher interest rates, the bonds also come with their interest and principal payments guaranteed by a third party such as a bank or insurance company. Reports of listed companies reveal that many have parked their funds in corporate bonds guaranteed by banks. This trend has changed the role played by securities companies, who are no longer just stock brokers but advise bond issuers and act as paying agents for them. Big customers are now getting used to high interest rates offered by bonds, and this is what banks are up against, a banking expert said. The director of the General Statistics Office, Nguyen Bich Lam, has said the power price hike will have a certain effect on inflation and economic growth. He was referring to the recent increase in the retail electricity tariff from VND1,720 (7 US cents) per kWh to VND1,864 (8 cents), the eighth hike since 2010. The 8.3 per cent hike will increase the inflation rate by an estimated 0.3 percentage points. Analysts said the hike in power prices would result in a rise in the prices of many goods. It will thus put pressure on production costs, eroding the competitiveness of the country’s goods at a time when it is deeply integrating into the international market. To cut costs, some enterprises plan to shift their production from peak hours to off-peak hours. But other experts said the power price hike could not be delayed any longer. They said the hike should have been effected in 2018, but the tariffs were kept unchanged until March 20 this year in order to not rock the economic boat though the increasing cost of power generation had greatly affected the power sector. The finances of the sector have recently taken a hit after the Government stopped subsidising inputs like coal and gas from the beginning of this year. They also pointed out that the electricity price had been just above seven cents whereas they are eight cents in India and China, nine cents in Laos, ten cents in Indonesia and 11 cents in Canada. But the higher tariffs now would only have a slight effect on prices and the GDP, they believed. According to calculations by the Ministry of Industry and Trade and General Statistics Office, the hike will reduce GDP by 0.22 percentage points and increase consumer prices by 0.29 percentage points, they said. Bao Viet Securities Joint Stock Company (BVSC) calculated that power-related goods only make up 3.5 per cent of the basket of goods and services used to calculate the consumer price index. This means the power price hike would not have much of an effect on CPI. In January, the Government decided to increase the environment tax on petrol, pushing up the price of fuel by 15 per cent and causing a 0.56 percentage point increase in inflation. Besides, a Ministry of Health circular increases the prices of healthcare services at all hospitals by an average of 15 per cent this year, creating a 0.6 percentage point increase in inflation. This year’s CPI will also be affected by an increase in the costs of educational services by 10 per cent this year, causing a 0.5 percentage point rise in inflation. But BVSC analysts said they still think inflation this year would be kept at around 3.5 per cent and businesses would not be affected much by the power price hike. They said they had reason to believe that the factors related to supply and demand would not create much inflationary pressure. Meanwhile, most businesses have already made necessary preparations to cope with the increase in electricity prices since there was advance notice about the impending hike.